As we enter 2019, not only can we reflect on what a fantastic year 2018 was for the solar industry, both for Australia and the world, but also revel in the next big trends for the year ahead. 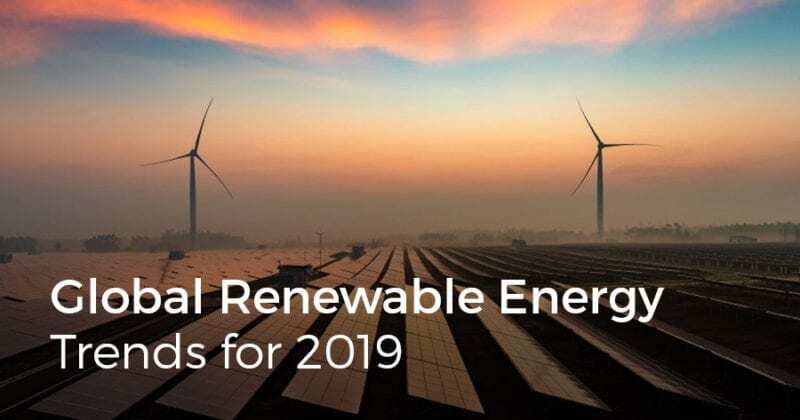 With installations predicted to increase by 18% and multiple advances in new cell technology, the year of 2019 will be a big year for solar power and the renewable energy sector. PERC (Passivated Emitter Rear Contact) products will take a lead this year, with the technology demand estimated to reach 158GW by 2022. PERC cells aim to improve light capture to achieve higher efficiency. A passivation film is applied to the rear side of the cell which contains tiny pockets. The tiny pockets allow any lost or scattered transmitted photons to be reflected to the silicon layer for second absorption, ultimately increasing the number of photons that can be used for energy production. Advantages of mon-PERC cells include high power density resulting in significant Balance-of-System savings, high energy yield with better low light performance and lower temperature coefficient. Bifacial modules produce power from both sides of the cell, which increases total energy production. If installed on a highly reflective surface, efficiency ratings can be increased by up to 30%. They are especially useful in situations where there is a white reflective surface, such as a commercial roof, or flat surfaces where light can be reflected from the ground. Bifacial panels use limited framing and are housed in a transparent layer, either a dual-glass design or made with a clear backsheet. While they are more expensive than traditional one-sided panels, they’re known to produce higher levels of efficiency and longer durability. As well as the bifacial modules, bifacial trackers are also set to take off in 2019. The National Renewable Energy Laboratory in America estimates that the market share for bifacial trackers systems will expand to a projected 10% market share in 2019, and 30% by 2025, compared with monofacial panels. Floating PV systems, or floataics as some call them, are on the rise as alternative options to land photovoltaic systems. The technology is especially popular in Japan, where they hold 56 of the 70 largest floating PV systems. The technology is particularly useful for areas that are land-constrained and where there's a major conflict between solar infringing on farmland. For large-scale projects, the cost of acquiring and developing land is becoming a huge part of the cost of a solar project. Many islands are adopting floating solar PV systems due to the high cost of land. In addition to energy production, floating solar offers benefits such as inhibiting the growth of algae and reducing evaporation. They have also been known to generate more power than land systems due to the cooling effect of water on the panels. Blockchain technology was a major talking point in 2018, not to mention the rise of big data and the IoT. Solar power and the trading of energy through processes such as blockchain opens a whole new world of energy sharing and access. Blockchain is a database technology that processes and stores information, such as transactions of assets. These assets can be in the form of renewable energy credits, which can be traded through the database. Peer-to-peer energy trading platforms such as blockchain will allow consumers to share their excess energy amongst one another and control how it’s distributed through microgrids. In 2019, no doubt we will see more electricity companies and start-ups engage in the technology and make it accessible for consumers. Half-cut cell technology is just as the name states, solar cells that have been cut in half. These cells are growing in popularity, particularly in residential installations, as they are better equipped to resist the effects of shade (due to how they’re wired) and therefore higher efficiency output. It also allows for better temperature coefficients, reducing hot spots and therefore improving its performance. According to PV magazine, global production will be at 124GW, and two thirds of that will be half-cut modules. Heterojunction is the interface in-between two layers of dissimilar crystalline semi-conductors. This cell technology can produce efficiency ratings of up to 25% due to its amorphous layer, which reduces the electrons lost on the surface. It also allows for better control of temperature, allowing it to maintain its performance even in hot temperatures. According to scientists at Swiss Manufacturing company, Meyer Burger, stated that heterojunction technology will be considered amongst the best technology for the solar industry.